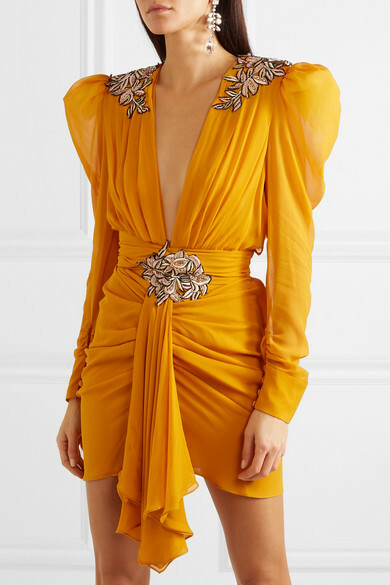 Peter Dundas marked the launch of his eponymous label with a show-stopping dress for Beyoncé's 2017 Grammy's performance, and the designer has remained true to that level of glamour ever since. 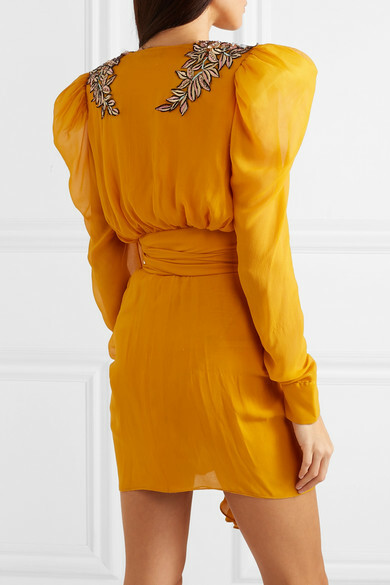 Debuted on the Spring '19 runway, this mini dress is made from marigold chiffon with tulle-padded shoulders to create Georgian-style mutton sleeves, a plunging V-neckline, and flattering ruching from the waist down. 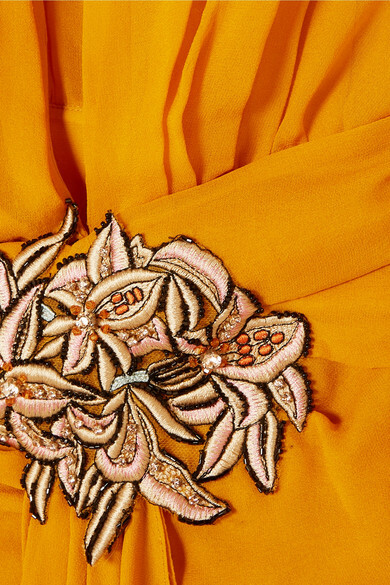 The sparkling embroidered appliqués mean you can keep your accessories simple. Shown here with: Givenchy Shoulder bag, Gianvito Rossi Sandals, Isabel Marant Earrings.